Disclaimer: I received compensation through Sverve to facilitate a review/recipe. All opinions, and images are my own. 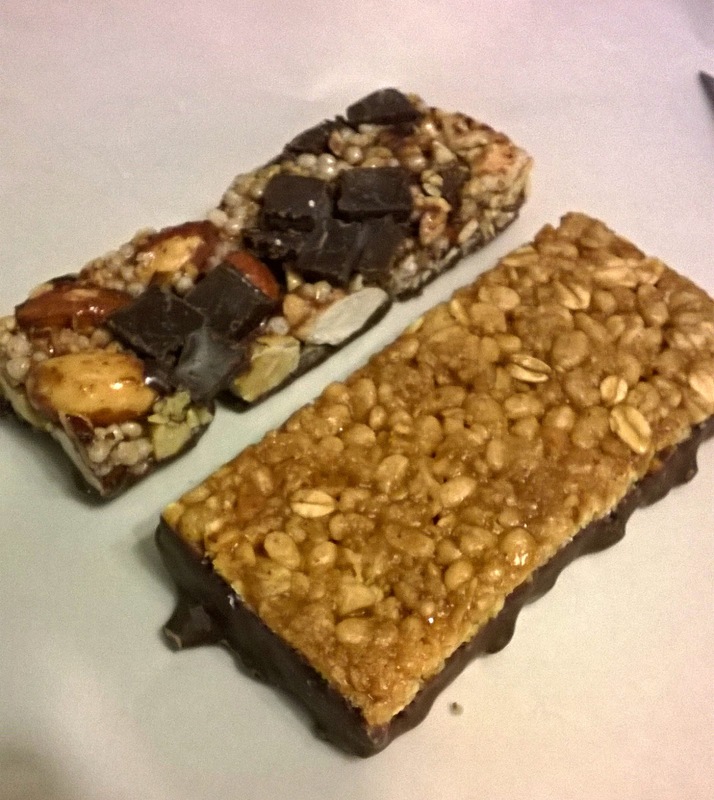 My family already enjoys Clif Bars, so when I was asked to create a recipe using the Gluten Free Clif bar I was super excited. Walmart always has a huge variety of Clif bars. 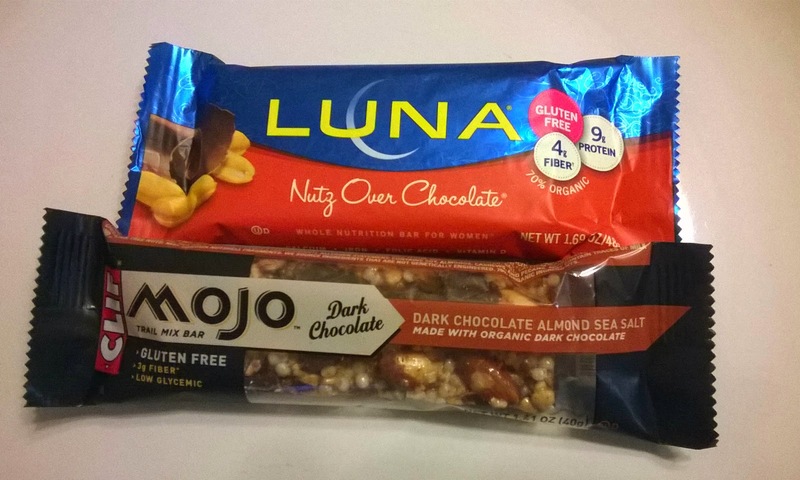 Also they are pretty low cost, considering they are Gluten Free, up to 9grams+ Protein, and Vitamins for under $1.50 a bar. You'd be surprised at all the Gluten Free Products at Walmart. I may be addicted to a certain Kitchen Show that you take an already made ingredient, and use it in your recipes. 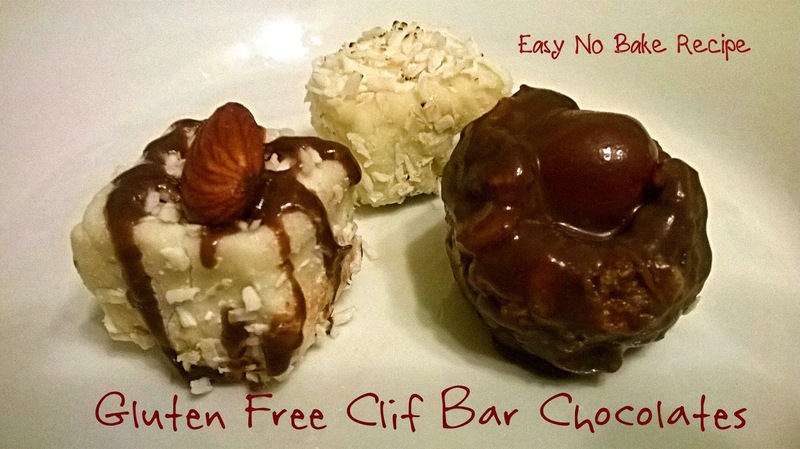 This is a very easy recipe that I even had my family help turn the Clif Bars into the chocolate candy bites. 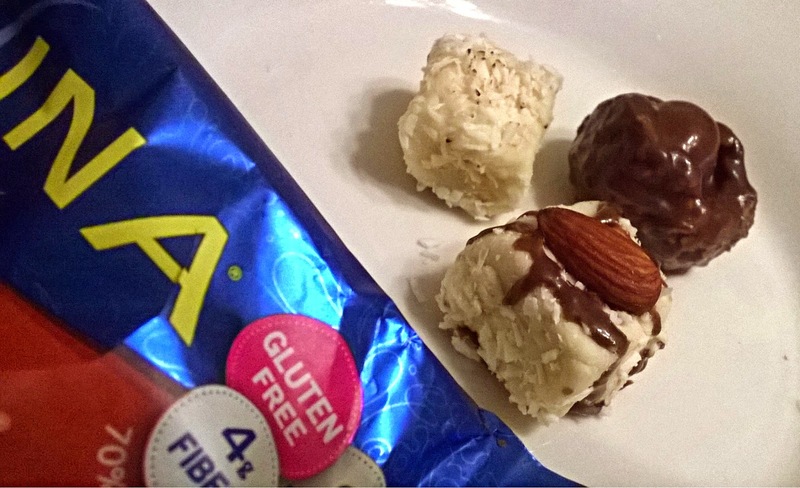 This is how to make Gluten Free Chocolate Covered Cherries, and White Chocolate Coconut Squares using Clif Bars. 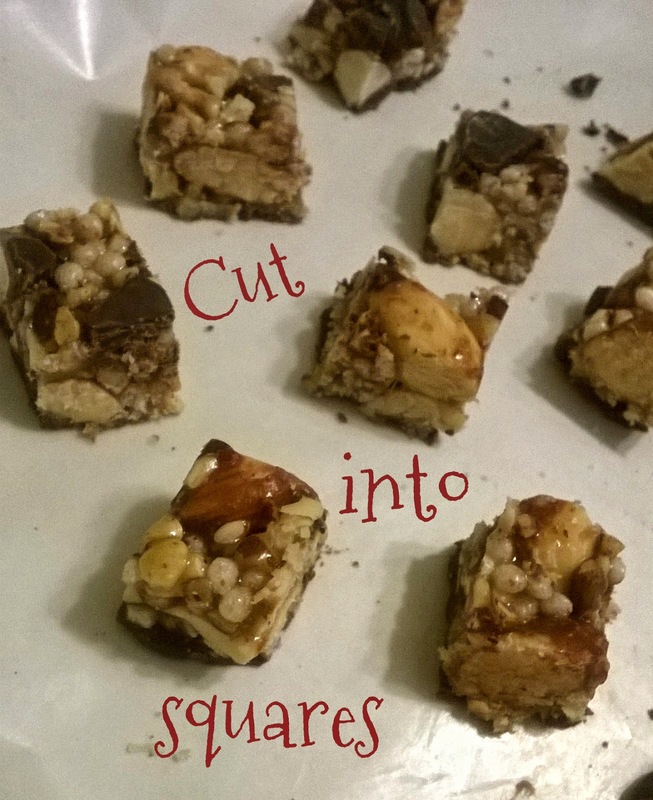 Cut the Mojo Bar into desired squares. I made my squares a little smaller and wanted to do 10 White Chocolate squares. I like the White chocolate to be moldable and not completely melted, and mold it flat on the wax paper. Take a Clif bar square fast, and wrap into the white chocolate like you are making a square present. 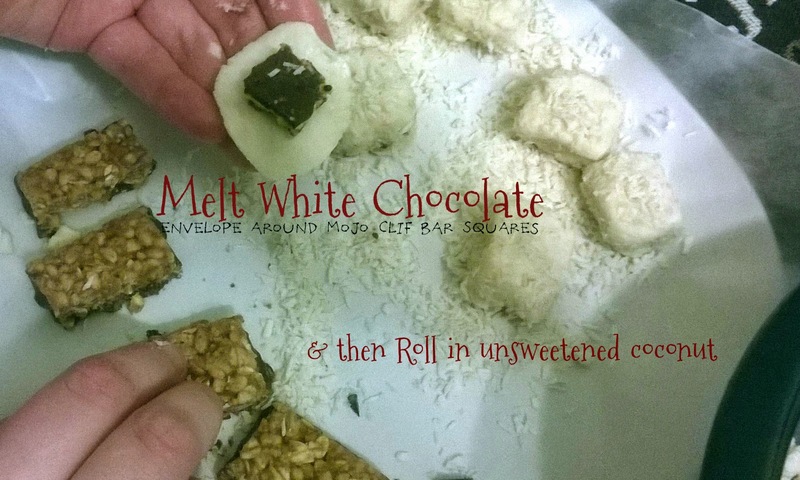 Roll the White Chocolate Coated Square into the coconut flakes onto all 4 sides. 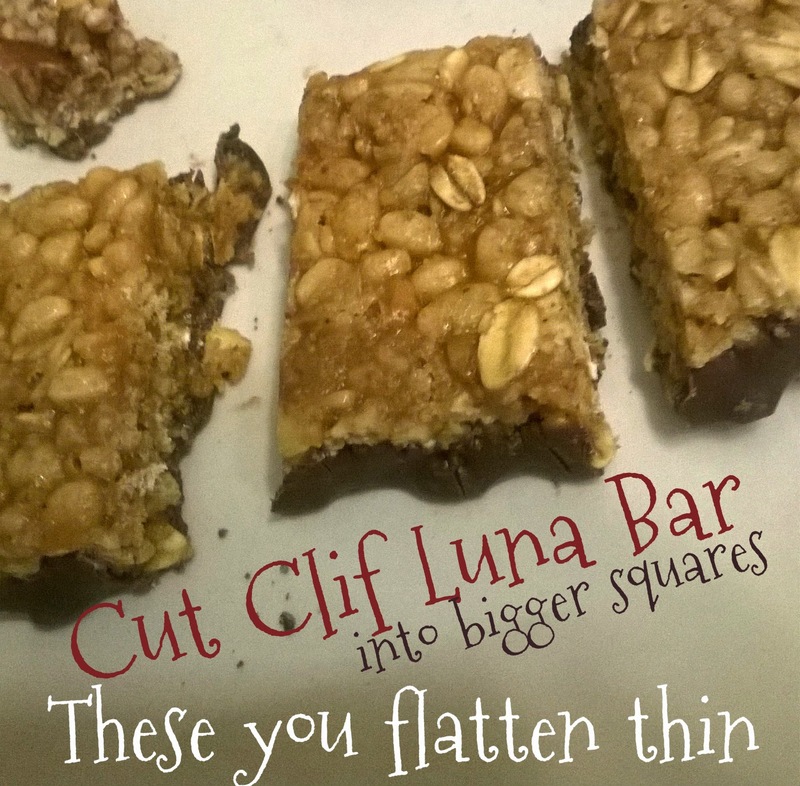 Cut the Luna Bar into 4 squares, and then flatten the squares a little thin. Place a Cherry in the middle of the flattened Luna Bar. Roll into a ball, with the cherry in the middle. Place on a plate with wax paper. Melt the Milk Chocolate Chips. Spoon Chocolate on to the Luna Bar Circles. Repeat until you have your desired thickness of chocolate. I did a few that you could still see an open side of the Chocolate Covered Cherry like it was a mini bowl too. Go back to the White Chocolate Squares, and pour a little Milk Chocolate if you'd like, and place an Almond on top before it cools. Refrigerate to help harden the chocolate up, if you want it soft, it's still good! I already want to make more! I only used 2 Clif Bars, and still have a jar of Cherries ( I love baking these cherries into treats too,) and a lot of chocolate chips left from the Bags I bought. 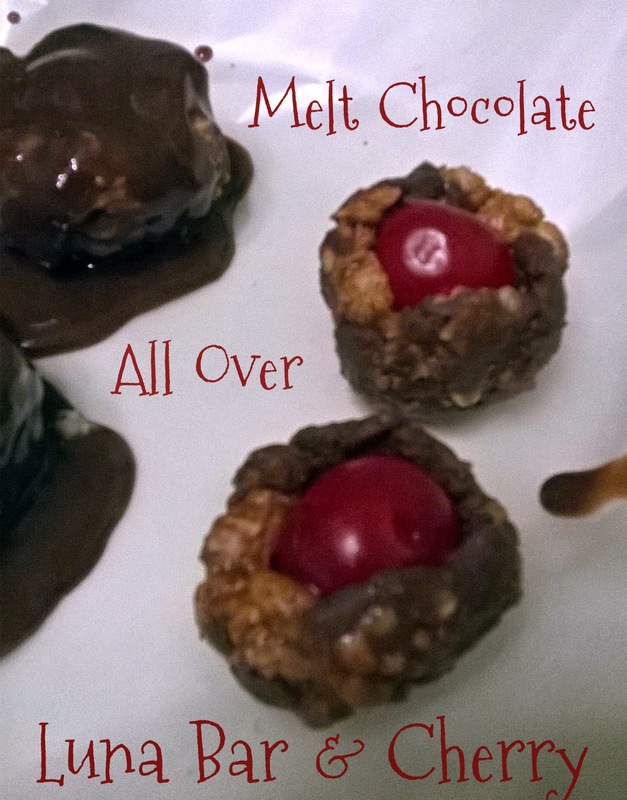 This is a fun no bake alternative. If you want to find more gluten free recipes check out Walmarts Gluten Free in-store event on January 24. I will be going to my Local Participating Store! Steady and instinctive, this blogger hands it in unfailingly.